The history of education in the United States for English Language Learners has long been an uphill struggle for both educators and students. Several states are leading the way toward a more equitable educational experience for ELLs by developing comprehensive plans for educating ELLs through programs that foster successful English language development. The process is relatively straightforward: determine the home language of the student and conduct an English language proficiency assessment if the student speaks a language other than (or in conjunction with) English at home. From there, if the test scores determine that the student required language services for English language support, these are provided by certified staff, often for several years. It it is what comes at the end of this language development journey that often sparks conversations: the exiting process. In this modern American educational society, in which the word “test” is used exhaustively, the immediate tendency becomes to rely heavily on test scores, such as WIDA’s ACCESS test, to determine if the student is ready to “place out” of language services. Not only does relying solely on one indicator, a test score, contradict what most states require to determine exiting (i.e., multiple criteria), it is also a risky decision, one that could lead to unnecessary future challenges for students and teachers alike when a student begins struggling significantly when language supports are removed too soon. Report Card Grades: What grades is the student earning on her/his report card? Is the student demonstrating proficiency or mastery in the content areas? If not, then the student would likely benefit from additional time in a language program so that s/he can continue to develop academic language proficiency and content knowledge. Formative Assessments: How is the student performing on daily or weekly learning activities? Beyond grades earned on summative assessments (end of chapter/unit tests), which are the grades that usually end up on report cards, the tracking of a student’s progress on day-to-day learning can yield a significant amount of information on actual progress that the student is making along the way which will provide a much stronger picture of her/his learning both in terms of content knowledge and language acquisition. If the student struggles frequently and often cannot complete daily tasks without language supports being put into place, the student may not be ready to exit from language services. Standardized Assessments: Did the student attain proficiency on the most recent standardized assessment? With increasingly stringent testing being introduced into the academic lives of students, being able to perform well on high-pressure standardized assessment is a reality. Oftentimes, an ELL will demonstrate proficiency on a language development test, but will perform poorly on standardized tests. The academic skills and language on standardized assessments are quite high and having highly developed language skills and being able to use technical, academic language takes many years of develop. Behavior: Is the student well-behaved and does s/he follows all school rules? Or is the student frequently in trouble with teachers and/or administration? Even if the student is performing well academically, poor behavior should be taken seriously. Are there emotional issues to consider? Is the student having difficulty adjusting to a new culture? Removing the support of a bilingual or ESL teacher when a student is not emotionally strong enough to be fully immersed into a mainstream classroom can cause issues, especially if the new classroom environment is not culturally responsive. Attendance: Has the student missed a significant amount of school days? Even if the student’s grades are strong, poor attendance must also be considered. Why is the student missing so many days? Is the student frequently ill? Are family obligations behind the frequent absences? Once the reason is determined, it should be factored into the final decision. A former ELL is always monitored after exiting the program because of the potential adjustment issues. Chronic absenteeism can exacerbate those adjustment issues. Even if the student’s grades are strong, a high absentee rate will often negatively affect learning as well as the student’s smooth transition into a mainstream classroom. Special Education Classification: Does the student have an Individualized Education Plan (IEP) due to a Special Needs classification? What are the specifics of that classification? For this, it is critical that a conversation is had with the student’s Special Education teacher to deepen the understanding of precisely what the student’s learning challenges are. The importance of this issue cannot be overstated. 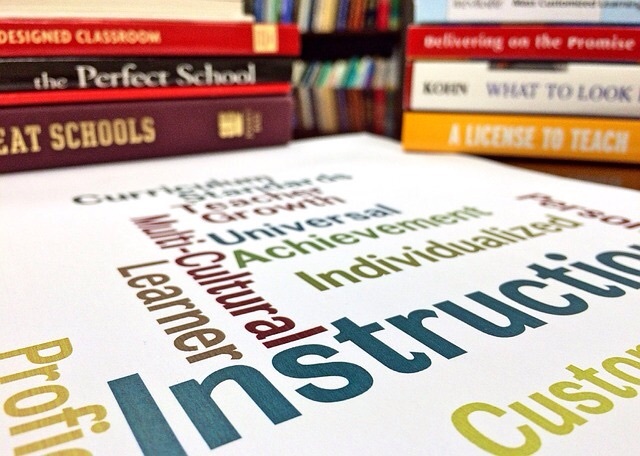 Classroom Teacher Recommendations: Who are the student’s instructors? 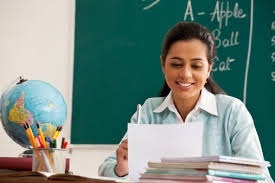 The student typically only receives ESL for one period a day and the rest of the day is spent with one or more other teachers. Their input is critical. While most classroom teachers are not certified ESL teachers, they should have at a minimum a basic understanding of the language needs of the student. S/he should be able to articulate how the student is performing in the classroom and if the student, in the teacher’s opinion, is ready to exit the program. ESL Teacher Recommendations: Who is this student? What has s/he accomplished in the time that s/he has been with you? Has her or his language growth been significant? Has s/he adjusted well to life in the United States? Does the students seem confident in her or his language development? Above all else, it is the ESL teacher who can speak most profoundly about the student. It is the ESL teacher who can take all of these factors, think about each one individually and then think about all of them collectively to be able to make an informed decision. Simply using one piece of data, such as the student’s ACCESS score, simply cannot provide anything more than a snapshot of a moment in time. Just as it is important to provide students with an accurate assessment to determine language needs when they first arrive in a new school, it is equally important to make sure that the right choice is made when making the critical decision to remove these supports.